This beautiful painted, 9-10" triple vine monogram is created from 1/2" thick birch wood. 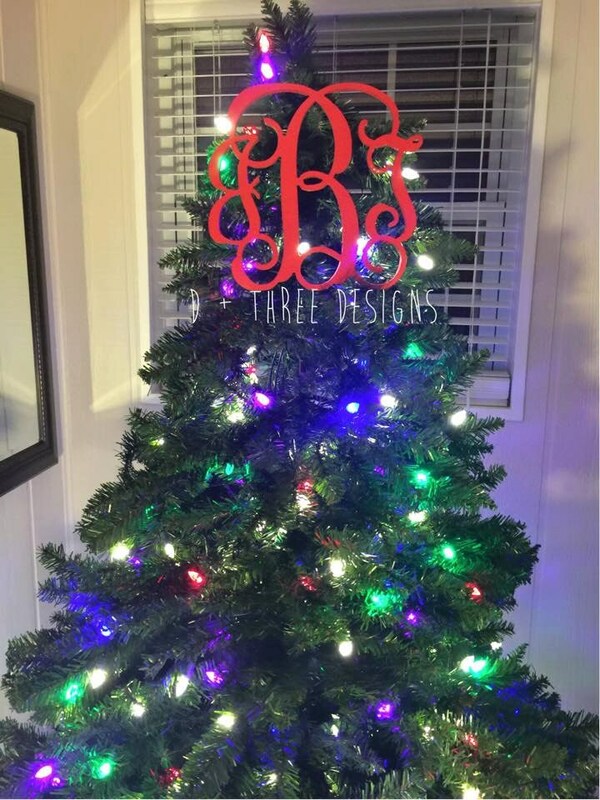 Tree topper arrives painted in color option of your choice. 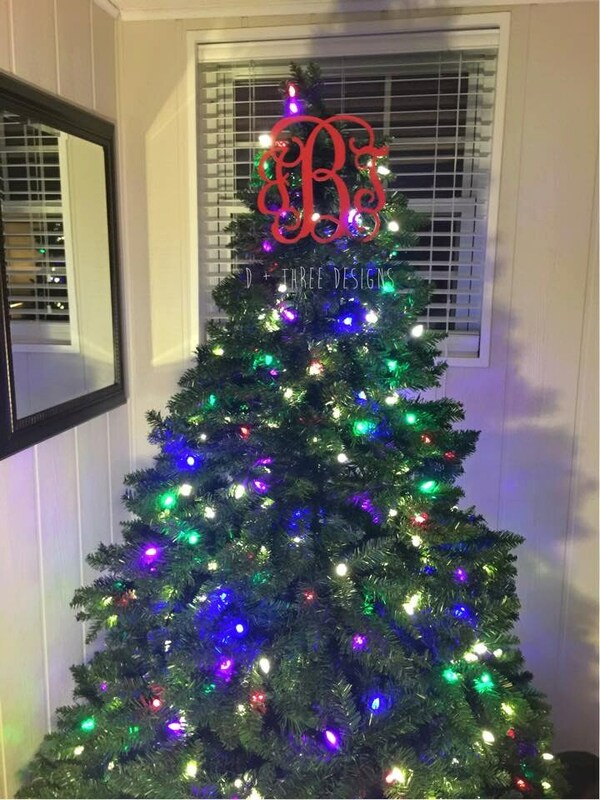 Whether on top of the tree or tying into your overall holiday theme, it's the perfect way to accent your Christmas tree or anywhere at home during the holidays! 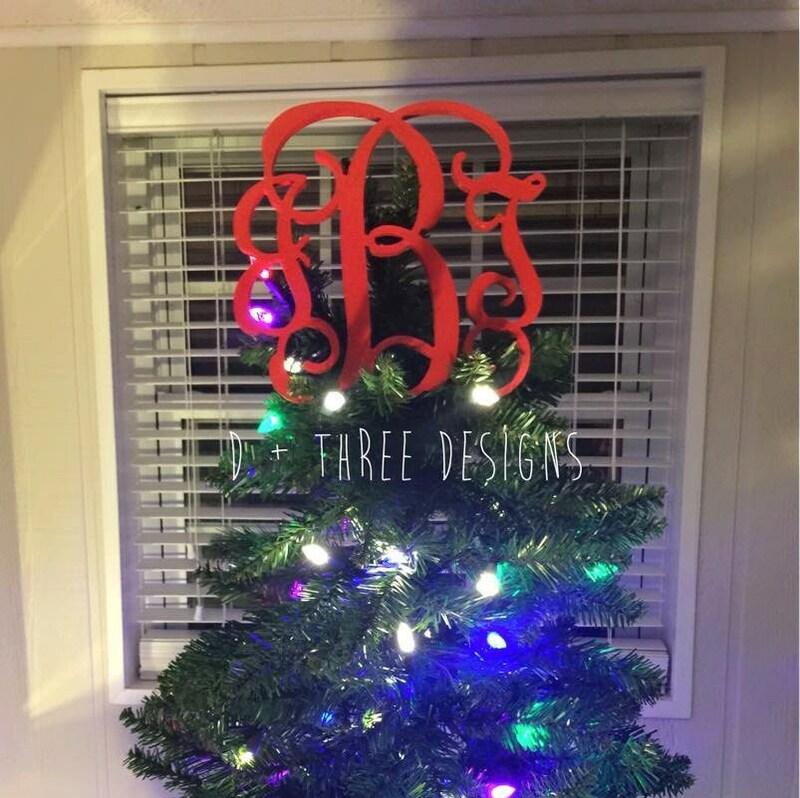 WE CAN MAKE THE TREE TOPPERS in different sizes and fonts! 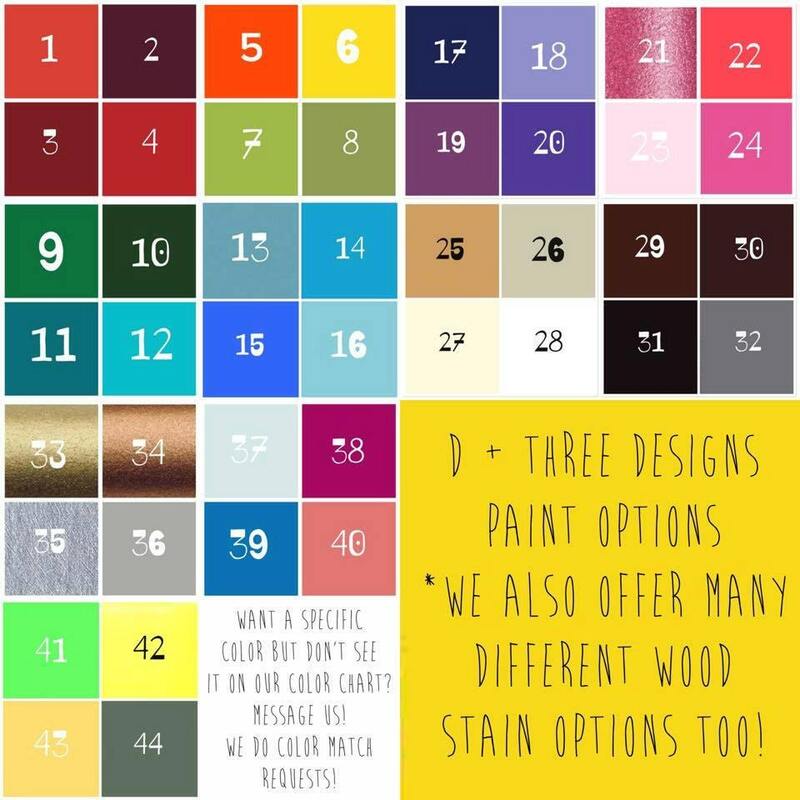 Just message us and we will create you a custom listing. Beautiful, looked great on the tree this year! Thank you!